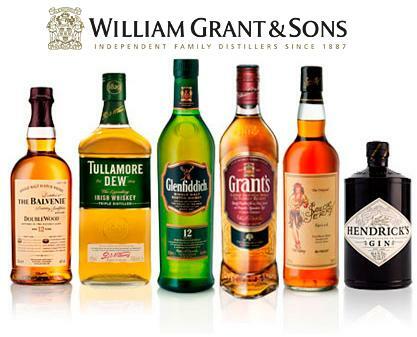 William Grant & Sons Ltd. is a family-owned Scottish distillery, established in 1887 by William Grant, and is now run by the descendants of the founder. It is the largest Scotch whisky distillery remaining in family ownership. The company is said to the 3rd largest producer of Scotch whisky (10.4% market share) after Diageo and Pernod Ricard. Their brands include: Glenfiddich, Grant’s, Balvenie, Hendrick’s Gin, Sailor Jerry Rum & Tullamore Dew. E Snell & Co distributes the range in South Africa except for Tullamore Dew which is distributes by RGBC.